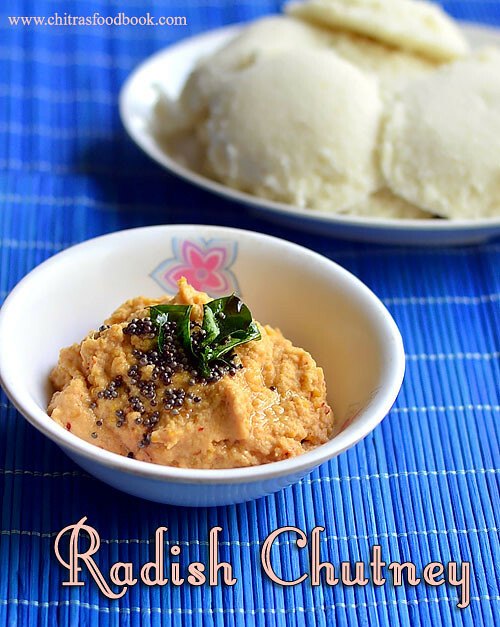 A reader requested me to post Radish chutney recipe for Idli dosa. Until then I have never thought of making a chutney with Radish ( Mullangi in Tamil, Mooli in Hindi). I have tried Mullangi thogayal for rice but this is the first time I made a chutney for idli using radish. Actually I was worried whether the smell of Radish may spoil the chutney. But to my surprise, chutney came out truly flavorful. Even Sendhil couldn’t make out its a chutney made with Radish.Its a chutney without coconut and tomato too. I have used white radish, dal and onion. I must thank my reader for making me try this chutney. 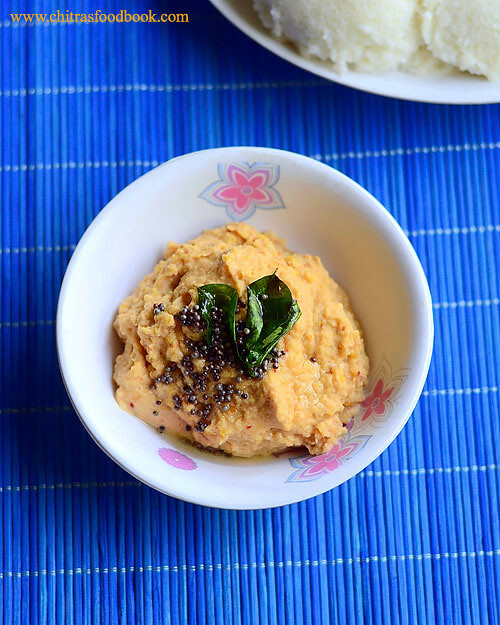 For this recipe, I adapted Andhra style mullangi pachadi and made slight changes as per my family’s taste buds.I guess it works well for red radish too. I am happy to include this chutney in my radish recipes and chutney collection list. 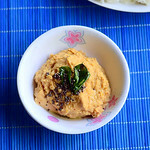 Lets see how to do this easy mullangi chutney for idli dosa. Check out my Chutney Recipes Collection, Mullangi sambar recipe, Mullangi thogayal. Wash and peel the skin of radish.Grate it and set aside.No need to squeeze the water. Chop the big onion into chunks.Heat oil in a kadai. Saute Urad dal, chana dal, red chillies till dal turns light golden color. Next add the big onion and saute until onion turns transparent.Make sure you don’t burn the dals. Do in medium flame. Add the grated radish, ginger and saute till it gets cooked and reduces in volume. It takes 3-4 minutes in medium flame. If needed you can cover and cook it. Radish should be well cooked and soft. Let it cool. Grind it to a smooth paste adding little water. Temper with mustard seeds and curry leaves.Add to the chutney. Mix well and serve with hot idli adding a tsp of gingely oil. Adjust the quantity of chillies as per your taste buds. If you want bright red colored chutney, use byadgi chilli. You can add few tbsp of grated coconut if you wish. 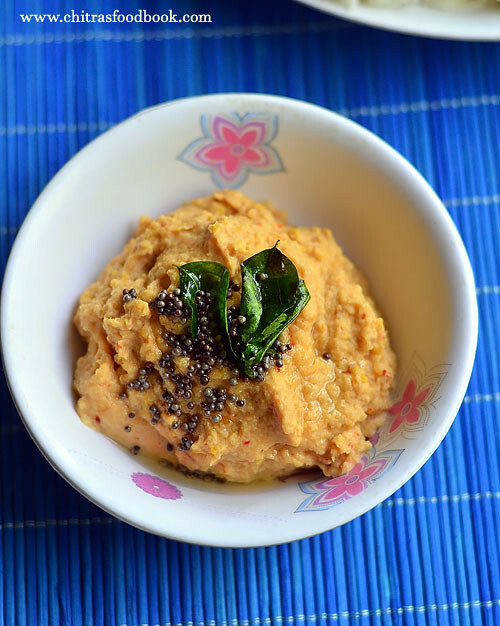 Try this easy,healthy mullangi chutney for idli,dosa. You will like it ! Radish Chutney looks good !